St. Joseph’s counseling staff set up our annual Healing Camp for 16 Lakota students who have lost a loved one through death this past year. Four of the children were grieving the death of a parent, and several more the death of brothers and sisters. 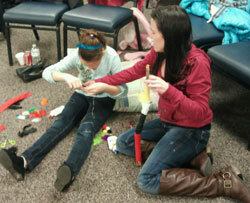 Healing Camp included fun icebreaker activities, craft projects, prayer and sharing. One of the sad tragedies of life on Indian Reservations is how often, due to accidents or illness, people die so young. I was scheduled to lead a few of the prayers, but when a couple of staff who planned to help couldn’t show up, I was paired up with a third grader for the day. Babies that Jhett would have known as a sister and niece died at birth within a couple of months of each other. Some of the day’s activities were fun icebreakers. Other rituals were designed to let the child say what they wanted about death, and ask questions. 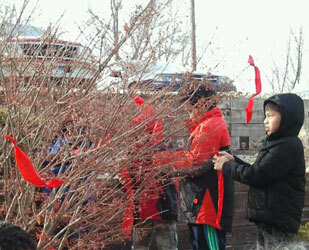 The two hands-on ceremonies that drew the most emotion were writing a letter to their deceased loved ones and burning it, offering prayers up to heaven, and making a red prayer tie with their name on it and tying it to a tree in remembrance. We also had a couple of art and craft projects. I’m not so creative at those, but I let the student take the lead. Asking questions about what he was drawing was a way to open up the conversation about his experience of loss. We had some time in the gym after lunch to shoot baskets and play volleyball to burn off some energy. Our Native American drum group joined us at the end of the day for a prayer song and handshakes of support all around. The Lakota students created prayer ties to remember their loved ones. Today we held our annual healing camp for students who are grieving the loss of a loved one, especially those who have lost someone dear to them over the past year. Fourteen staff members volunteered to spend the day with 15 students (two sisters shared one counselor) in a variety of activities that help them express feelings and memories. We began the day with our drum group – The Chalk Hills Singers – singing a prayer song. We now have a dozen boys crowded around the drum! Next year Mark, the advisor, is considering starting a second drum group because of all the interest. There are also three girls who came forward. Traditionally, they don’t drum, but stand around the circle and add their lovely voices to the song. To begin healing camp, I shared the scripture from John’s gospel about Martha and Mary’s reaction to the death of their brother Lazarus. One ran out to meet Jesus, while the other stayed at home. Each of us handles grief differently; some may need the company and support of others, but others may need down time to be alone. I wanted to give students the freedom to feel whatever they would feel during the day, and know that was okay. One of my favorite activities was when everyone gathered in the Akta Lakota Museum classroom for a guided imagery about a conversation they would have with the loved one they were missing. As students and staff shared, they each had a glow-in-the-dark pendant, which they snapped to activate. The room gradually lit up, and the sharing produced both tears and happy memories. We ended with a circle of hugs and handshakes all around, then went outside to tie a memorial prayer tie in one of our trees on campus. Other activities included writing a letter to the deceased and placing it on a fire with the smoke rising to the heavens, some fun time in the gym and rec center, Q and A about death and heaven, and one-on-one walks with the staff buddy. Fr. Anthony led the group in a closing prayer service, with a lighting of votive candles and a prayer in memory of the beloved deceased. Many of our students have suffered significant losses in their young lives, and this is one way we’ve found to help lead them through such difficult days. Anpetu waste’! LaRayne imaciyapi ksto! Good Day, LaRayne is my name! We are in our second week of my 14th day camp at St. Joseph’s Indian School! I remember those overwhelming, exciting feeling from the very first year because I still get them today. 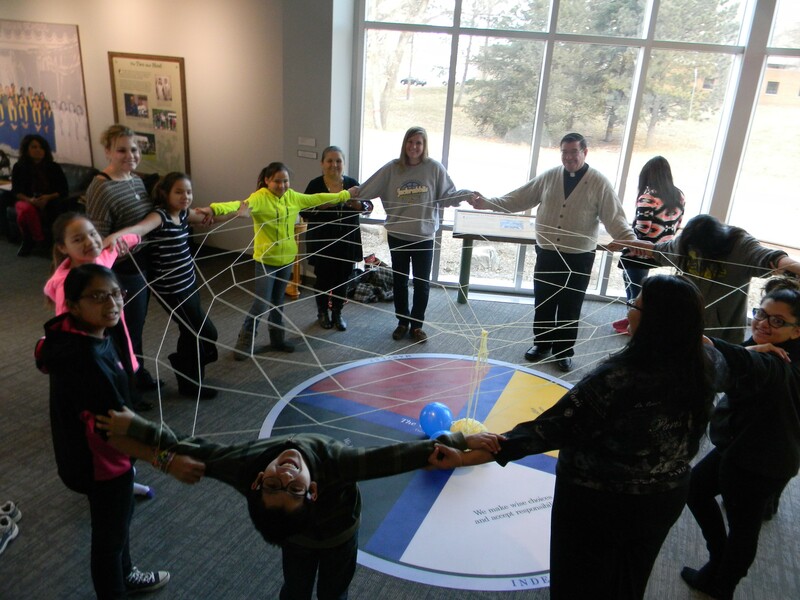 Part of the overwhelming feeling comes from wanting to give the students who come for the Rising Eagle Day Camp a sense of who they are as members of their tribe or members of the Oceti Sakowin Oyate (People of the Seven Council Fires). My purpose is to share my passion of being proud of who we are as Lakota/Dakota/Nakota persons. I try to do this in various ways. 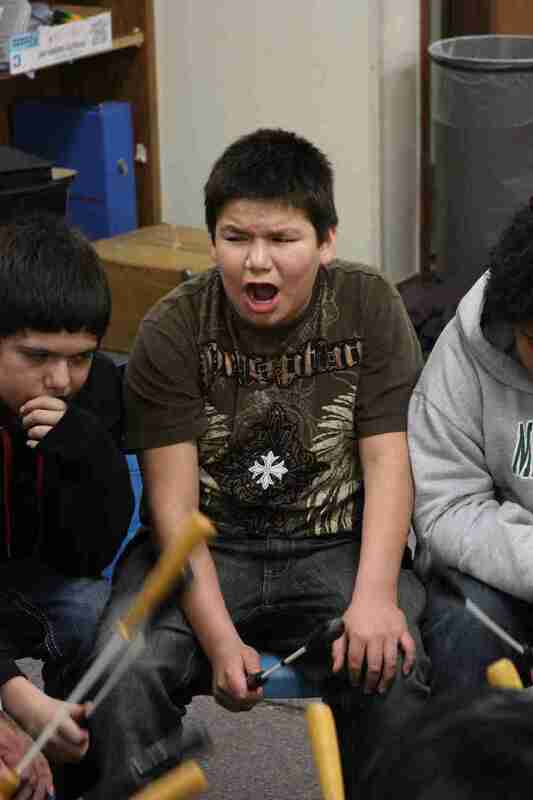 This year I will be pulling from my co-teacher, Allen, for added wisdom and knowledge in traditional Lakota games. Allen brings a plethora of knowledge in this area. We will play the modified version of the moccasin, plum pit, bingo and hand games with our day students. We play with items they can find around the house so that when they are home with friends and family, they can recreate the games with pencils, pens, beads, rocks, sticks or anything their creative minds can find and use. 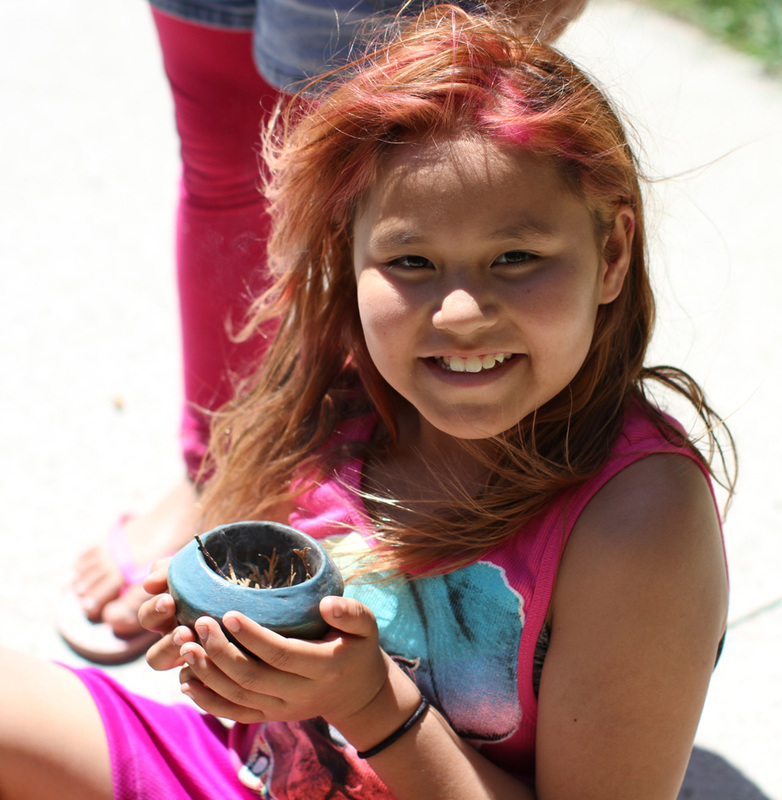 Day camp students learn about medicinal and ceremonial plants like sage. Dancing has always been a part of every culture. We will also learn some dances that pertain to friendship and celebrating for fun rather than focusing on the powwow or other ceremonial dances. 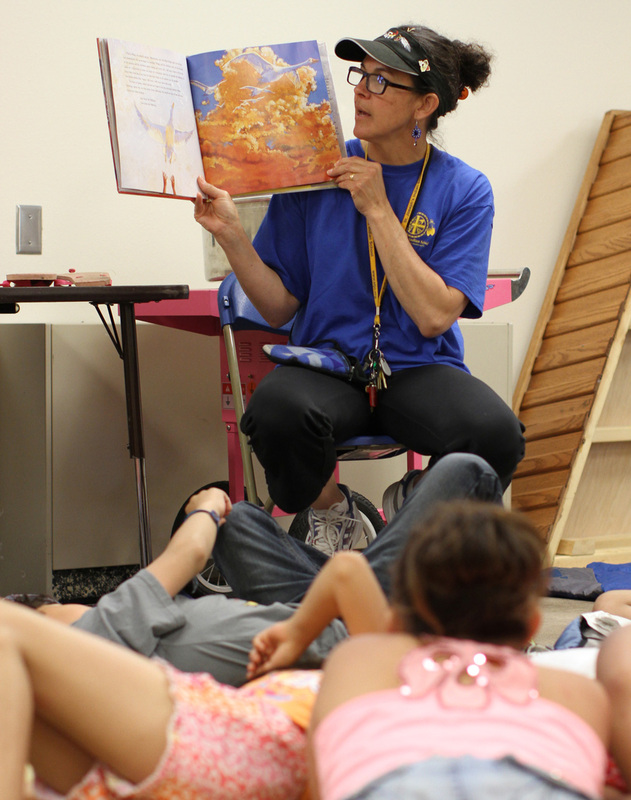 With each day, LaRayne finds a story or a book that parallels the day’s lesson. out of local plants and also how the how the stars tell us about each day, week, month and year. We will talk about how they mirror earth and our own aura. With each day, I try to find a story or a book that parallels what we are discussing. This helps the kids to understand the importance of storytelling, reading books and how much fun it can be to share a book with someone of any age. Lastly, we want to share a new movie that teaches our youth and communities about the Horse Nation. Many of our tribal leaders are working on bringing the “Horse Nation” back for healing reasons. We hope to be a catalyst in this process at St. Joseph’s Indian School Rising Eagle Day Camp. 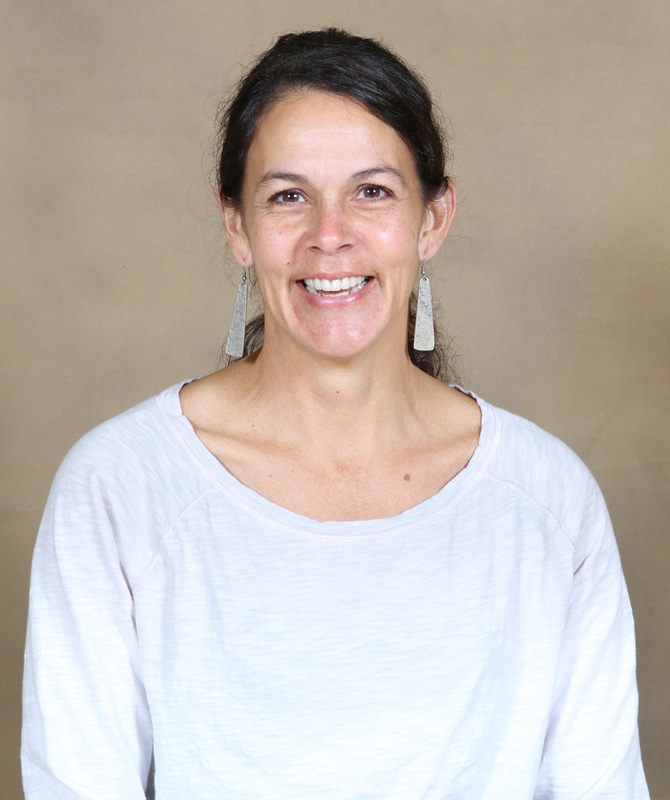 Wopila tanka – many thanks – for helping make day camp possible! Afternoon brought a break from our Clergy Days meetings, and I came back to campus to check on things. St. Joseph’s is hosting a workshop called “Healing Racism.” We’re starting with a mixed group of our own staff, some of our students’ parents, and key people in the community. It’s a key issue in our part of the world, and I suspect in many others as well. We try to teach our students to see beyond externals and come to know and appreciate people from different backgrounds. In order to do that with credibility, we have to model those ourselves. I dropped by to see how it was going. One of our parents found it intense, because it raised feelings she usually tried to put aside. 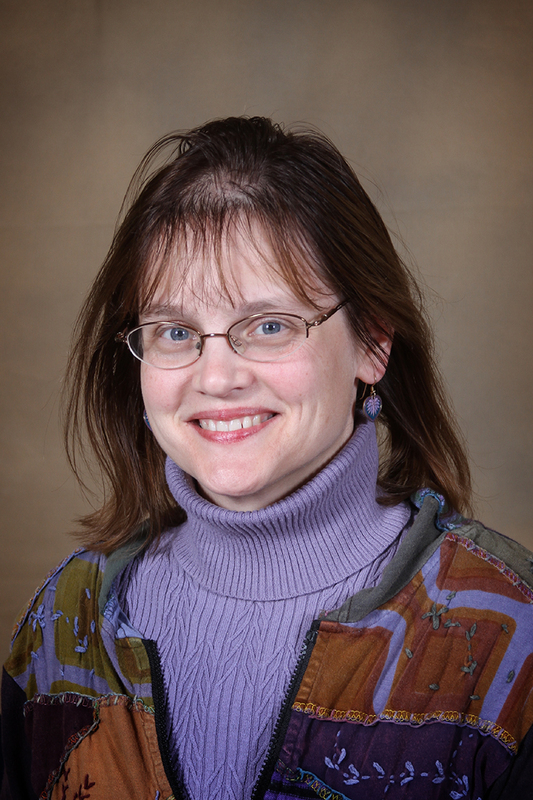 But she agreed it was helpful to do so in a supportive environment. Tonight the Chamberlain Knights of Columbus hosted all the priests of the diocese for a steak fry at St. James Parish center. The Knights do many charitable projects, like helping with the Special Olympics, and try to be supportive of priests and vocations. Gathered around small tables, the evening gave me the chance to get to know many of the priests across the Eastern half of the state that I don’t get to spend much time with. Lots of them impressed me as being so committed and passionate about passing on the faith. Wow – what a whirlwind of activity we’ve been living these last couple weeks! Last week was full of home visits, fellowship and learning for all of us here at St. Joseph’s. Times of fellowship are especially enjoyable for me. From brunch after Mass with the freshman girls in our Crane Home to supper with the 1st-3rd grade boys in the Ambrose Home, I find time getting to know our students and staff refreshing and exciting. Of course, visiting in each home gives me pretty unique perspectives on our children and their houseparents as well. While brunching with the freshmen girls, our new houseparents discovered a weakness in our electrical system when all the kitchen appliances needed to prepare a meal for 15 people caused the circuit to break! It was quite an adventure for them to find the fuse box, but the students and I got in some great visiting time, and in the end, the food was delicious and worth the wait! Equally unique was my time with our students in the Ambrose Home. Before supper, three of the boys were watching a TV show about Arctic Wildlife like polar bears and caribou. As quick as I joined them, they started in with many questions about the animals and the landscape. I didn’t know all the answers but appreciated their questions. Their inquisitive nature showed such a thirst for knowledge, which is even more important to teach than content. An all-school beginning of the year picnic was another special time last week. It just feels good when our whole group gathers together for prayer and community! After leading grace, I grabbed a chair and a spot at the end of the serving line. My job was to pass out popsicles. I got the chance to greet all of the students I already know, and when new student came through the line, I stopped to ask their name. It will take awhile to get to know everyone, but I keep working on it! Last week was also a moving time of awareness for all of us. We hosted a speaker whose mother survived Auschwitz and father survived a work camp in Czechoslovakia. He spoke to our older students about the horrible realities of the Holocaust. His main message was that people are capable of anything – from murder to love. We have to learn not to hate, and not to stand idly by when any group is persecuted because that’s how evil grows and spreads. So you all know, I continue healing as well! My foot still gets sore and standing for long periods of time is a challenge, but I’m healing. Proof of this came when I did a bit of back-to-school shopping! I purchased a new pair of black shoes. With the nerve pains, my normal shoes pinch and hurt my feet, so I’m constantly kicking my shoes off when I get the chance. But, while shopping, I got my normal size – except in wide width – and I can already tell a positive difference! Little by little my foot is getting better. I’m hoping and praying the rest of me inside is following that healing path as well. I’ll be posting again this afternoon since we’ve been so busy – thanks and God bless to all of you who continue following us on this journey! IT’S BACK!!!! Just when we thought we might be getting over the snow, the third storm in three weeks nailed us. Interstate 90 was closed from Chamberlain to Rapid City– a stretch of about 200 miles. The big event this past weekend was the Student Christmas Store! The store is a yearly tradition that allows our students to “shop” for their loved ones before Christmas break begins. Our students come with their lists and circle the store a few times before they make their final decisions! Staff was on hand to help our students pick out just the right gift for their loved ones at home. Once their shopping was complete, they moved to the skating room where other staff members helped them wrap their treasures. There was also time for goodies and pictures with Santa! Members of the National Honor Society and students in the Raphael and David Homes got into the spirit of helping others. The NHS students recently sponsored a bake sale to raise money for the food bank here in Chamberlain and the Homes sold handmade tree decorations to support a fundraiser on behalf of Fighting Hunger in South Dakota. The goodies at the bake sale were delicious, and the decorations caught everyone’s fancy and sold out quickly! Recent bad weather kept pushing our Healing Camp back, but we were able to hold it this past Monday and Tuesday. St. Joseph’s Healing Camp is open to any student and their family members who are dealing with a recent loss of a loved one. There are various activities they take part in to help them talk about their feelings and emotions. The yearly camp ends with a traditional wiping of the tears ceremony by a local elder. It is one way for St. Joseph’s to show support and encouragement as our students deal with the passing of a loved one who now walks the Holy Road. Our grade school students have recently been given chance to experience the Sacrament of Reconciliation. Their religious education teacher, Joe, and I set it up so the students could come to the Sacrament during their religious education class time. Fr. Bernard Rosinski, SCJ was available to assist as well! The students were given the chance to receive either the Sacrament (if Catholic) or a blessing (if not Catholic). We know everyone gets so excited about getting the externals—gifts, cards, etc.—ready for Christmas but sometimes we forget to get ourselves ready. This was an opportunity for them to make sure there will be room in their hearts to welcome the Christ Child. St. Joseph’s Spelling Bee Winners! Just as I finished with the last class, the spelling bee began as a way to determine who will represent St. Joseph’s in the state spelling bee in Mitchell, South Dakota. The three students pictured will be representing St. Joseph’s! If they perform well enough, their spelling skills could eventually take them to the National Spelling Bee in Washington, DC!! Our students left for Christmas Break last Friday and are enjoying spending time with family and friends at home. We hope your plans give you the opportunity to be with your loved ones as we celebrate the birth of the Prince of Peace. What a mess! The Chamberlain area was recently hit with over six inches of snow! The storm caused over thirty students and several staff members to be caught away from campus after the Thanksgiving break. Everyone had the option to be back either Sunday or Monday– those who came back on Sunday made it with no problems, but those who waited were stuck. Mitchell and Sioux Falls, South Dakota, set new records with over seven inches of snow! St. Joseph’s students enjoyed sledding and making snowmen! The snow caused various activities to be canceled — our healing camp for students who have lost a loved one recently; several basketball games and the initial basketball practice for the high school teams, to name a few. The storm also prevented some of our students from taking part in a skype interaction with some of our benefactors in France. They had written a poem they wanted to share. St. Joseph’s students enjoyed the recent snowfall! I greeted the students on their first day back at school after the holiday. In talking with the students, it seems everyone had a wonderful Thanksgiving! During the break, I had the opportunity to go up to Ft. Thompson on the Crow Creek Reservation and celebrate mass with several of our SCJ priests who are stationed in the area. After mass, we joined with the parishioners and took part in a lovely Thanksgiving meal with all the trimmings prepared by Sr. Charles. When I returned to campus, I stopped in to visit with the staff who were not able to get away for the break. They, too, had a delicious meal and good fellowship. When I was in the school library for the interaction with our French Benefactors, the librarian pointed out that the theme for this month is ‘ask a question’. Our librarian is working hard to develop investigative reading skills with our students. If they have a question—all they have to do is pick up a book on the topic and READ! You may recall that a few weeks ago, I mentioned that the Ambrose Home went to St. Joseph’s Church in Ft. Thompson as part of their social outreach activity but forgot to bring goodies to share. You can see in the photo that they did come up with some nice treats and got them to Sr.
St. Joseph’s students enjoyed ‘paying it forward’! Charles so that they could be shared with the parishioners! Houseparents Jennifer and Katy divided the boys up into four groups who each made something special. They had a great time doing it! Their outreach is one of the ways we show gratitude for the generosity our benefactors show to us. Since we are facing some real challenges with all the snow, it might be a good time to remind you that our next donor luncheon is in a warmer climate, Fort Lauderdale, Florida on the weekend of January 16-17, 2016. We are sending two of our high school girls to share their insights on St. Joseph’s. If you would like to attend, please give us a call at 1-800-584-9200. 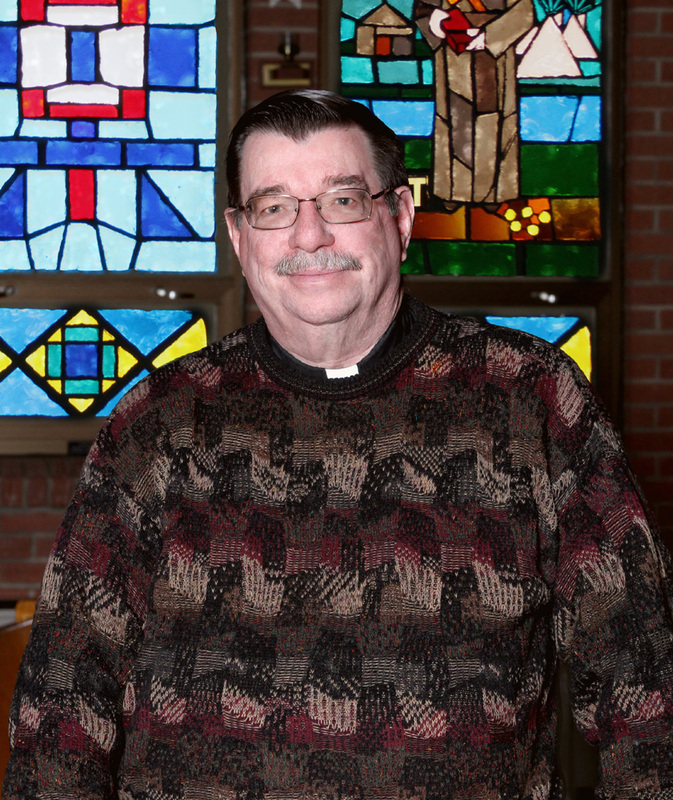 Continued thanks for your support of the programs here at St. Joseph’s. 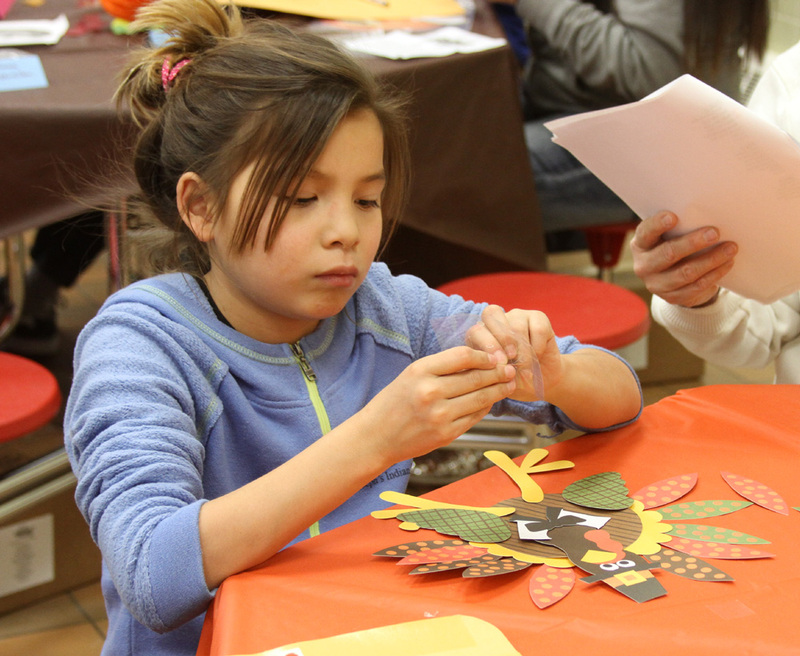 Your generosity helps to make holidays like Thanksgiving so meaningful for our students. We hope you, your family and your friends had a wonderful Thanksgiving as well. Last week, we held Healing Camp for those who have lost loved ones recently. My mother passed away in September, so I thought I would take part along with our students and some of their family members. It is always tough to lose a loved one and this process gives participants the chance to deal with entrusting a loved one back to God. You can read more about Opiciye Okizi (Healing Camp) in Claire’s blog post. We have good news from the basketball court! St. Joseph’s eighth grade girls won their tournament over the weekend. The girls were scheduled to play Lower Brule in the first game, but the team was not able to come, so the tournament shifted to a round robin format. St. Joseph’s beat Miller and then knocked off Pierre Indian Learning Center (PILC) to win the tournament. It was fun watching them play as a team and grow in confidence as their shots began to fall. Congratulations team members and coaches! Thursday, the Lakota students will have their annual Christmas concert. Each grade has learned a few songs for the event. Some of the students who have been taking band lessons will share their skills on the instruments they are learning to play. Family members are invited to come and enjoy the performance, so hopefully the weather will be good. 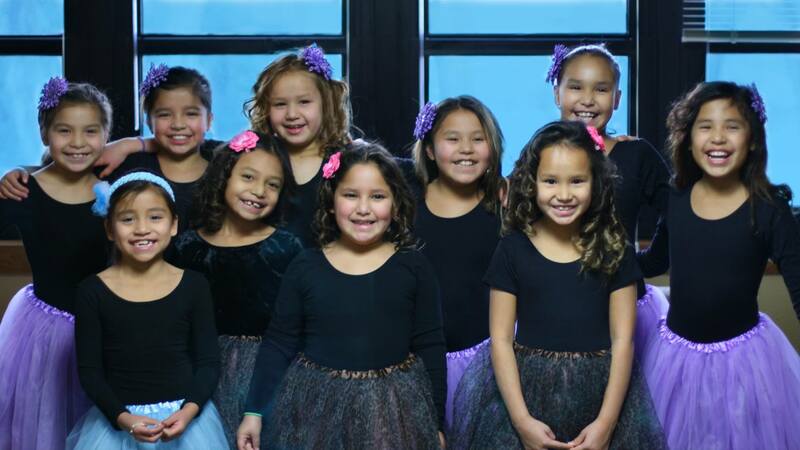 The girls in the Dennis Home were ready for their Dancing Dolls recital! Another display of talent last weekend was the Dancing Dolls and Dudes performance held Sunday in Chamberlain. Many of St. Joseph’s younger students took part. It was a wonderful recital – everyone did a great job! In closing, I would like to share what I thought was a touching scene I noticed coming back to campus the other day. If you have been to St. Joseph’s, you might recall that you cross a bridge over an inlet which leads out to the Missouri River. Though parts of the river are starting to freeze over, the inlet is still open and there were a large number of geese. This is a typical sight in our little community. Parked on the bridge was a SUV from Wisconsin with two hunters dressed in camouflage. You could sense their awe as they watched these magnificent birds coming in droves to land in the inlet. Have a great week! You and your intentions will be remembered in our prayers asking the Great Spirit to bless and reward you for your spirit of generosity. You have searched the archives for healing camp. If you are unable to find anything in these search results, you can try one of these links.